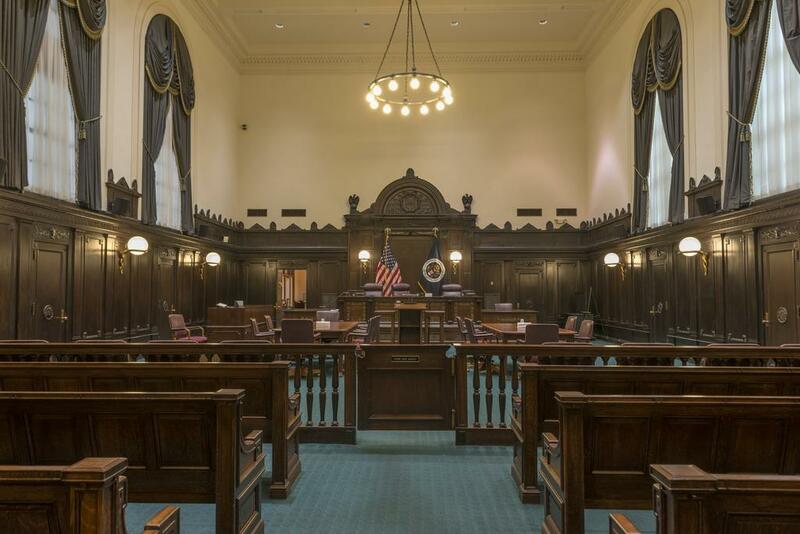 The courtroom in the John Minor Wisdom U.S. Court of Appeals Building, located in New Orleans, La., is where the Fifth Circuit hears cases. When President Donald Trump was sworn in, there were more than a hundred empty seats in the federal judiciary. That left open a rare opportunity to leave a lasting legacy by appointing judges to lifetime terms likely to outlast his administration. With the end of his first year in office coming into focus, some of his supporters are frustrated with the pace of the Senate Judiciary Committee in approving nominees. Listen to the KERA radio conversation. In Texas, there are 13 federal judicial vacancies in courts overseeing the state — nearly a fifth of the Lone Star State’s federal judges. Most are considered judicial emergencies and some have been empty for years. Six judges on the district court have not yet had a replacement nominated. Part of the blame for the slow process of filling those seats has been laid on Gov. Greg Abbott, who has reportedly taken an unusually active role in recommending nominees. Before President Obama left office, Republicans in the Senate blocked or stalled many nominees for the federal bench. In some states, his administration failed to find agreement with the states’ senators on suitable nominees, which is traditional. Last month, Trump tapped two Texans to fill vacancies at the 5th Circuit of the U.S. Court of Appeals, the federal appeals court that oversees Texas, Louisiana and Mississippi. One is a sitting justice on the Supreme Court of Texas, the other is a former solicitor general. Both have very conservative records. Texas Supreme Court Justice Don Willett has been on the radar of conservative judicial activists for years. During the presidential race last year, Donald Trump put Willett on his short list to fill the U.S. Supreme Court seat that Senate Republicans were holding open. That seat was filled by now Justice Neil Gorsuch. Willett has served on the Texas Supreme Court for a dozen years. Before that he worked in the Texas attorney general’s office and for George W. Bush, both when he was governor and when he was president. 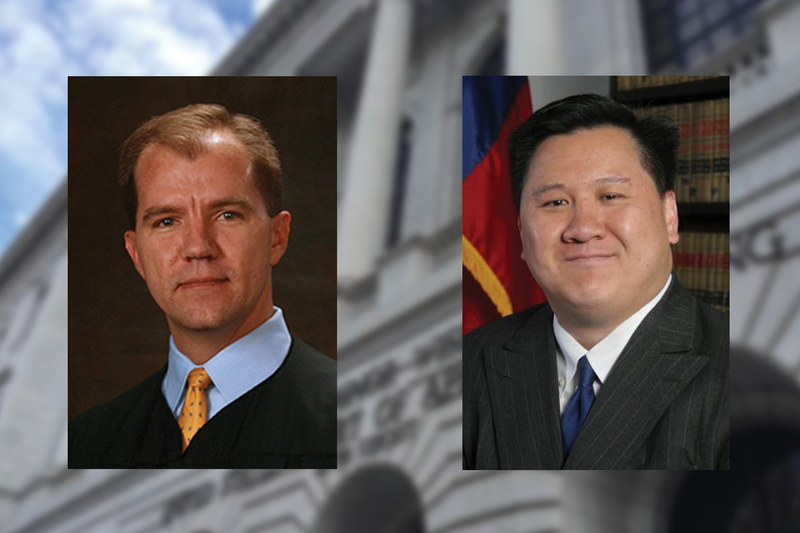 Texas Supreme Court Justice Don Willett (left) and Dallas attorney James Ho. James Ho, the second nominee, is a Dallas attorney who served as Texas’ solicitor general – that’s essentially the lawyer who argues the state’s case in at the Supreme Court and in the 5th Circuit. 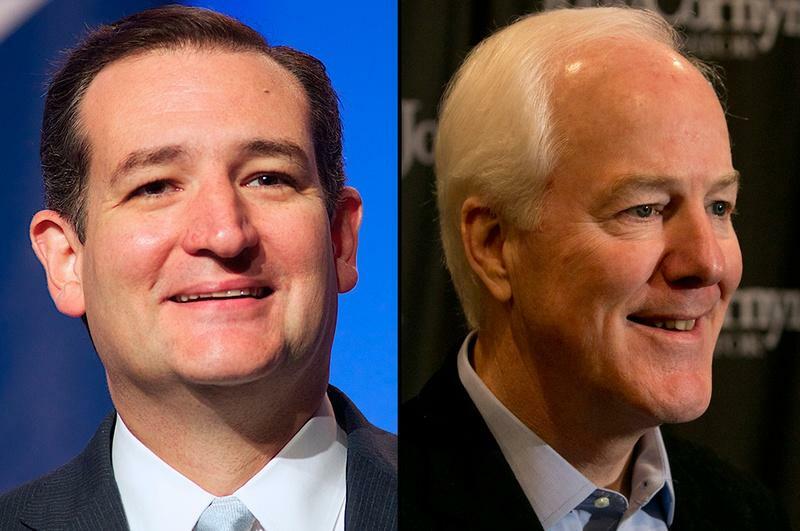 He clerked for both of those courts before that, and also served as chief counsel for Sen. John Cornyn. A lot of observers say he’s the perfect candidate for Trump to nominate, with solid private sector and government experience, a conservative record. He’s also an immigrant from Taiwan. There’s one area of law that the Texas Tribune points out where Ho differs from President Trump: He’s an ardent supporter of birthright citizenship. That’s the guarantee of citizenship for the U.S.-born children of undocumented immigrants. Ho has written that birthright citizenship is a right guaranteed "no less for the children of undocumented persons than for descendants of passengers of the Mayflower." Trump, meanwhile, has discussed ending birthright citizenship, calling it a "magnet for illegal immigration." Both Ho and Willett are relatively young: Willett’s 51, and Ho is in his 40s. That opens the possibility that they’ll be influencing U.S. law for decades to come. But first, they have to get a sign off by the Senate Judiciary Committee before being confirmed. Vacancies put a strain on the judicial system, though courts have relied on a range of measures to make do over the years. It means delays in the justice process, for one. And that has consequences: It drives up litigation costs, makes it harder to settle civil cases and sometimes causes evidence to go stale. The big concern for many advocates is that delays in criminal cases, where a person might be in jail waiting and feel pressure to plead guilty just to get a deal to move things forward, even if they are innocent.